Each handpainted, handglittered bauble has a goldtone metal crown accented with the Thomas Pacconi radio logo and a goldtone string. 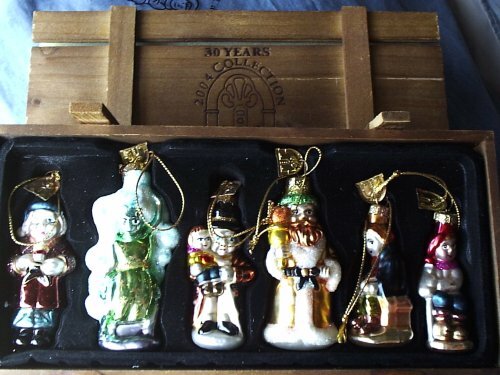 Commemorating 30yrs-this is part of the 2004 collection depicting beloved characters from “A Christmas Carol”. They come packaged in a wood crate.